With Christmas just around the corner, I've been stealing moments here and there to get my house and office decorated for the holiday! 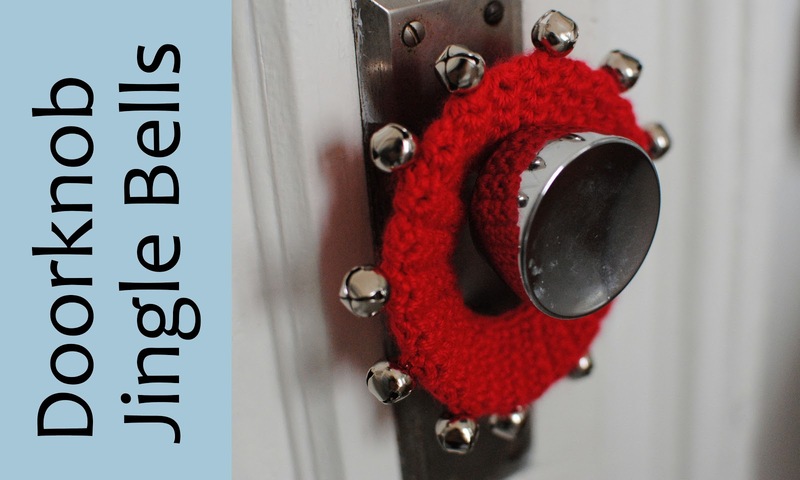 With that in mind, the other day I whipped up a few Doorknob Jingle Bells. I've always loved the phrase "every time a bell rings an angel gets his wings" from It's a Wonderful Life, and by including bells on doorknobs (which are constantly opening and shutting everyday), I can ensure that a whole heavenly choir earns their wings on a daily basis! 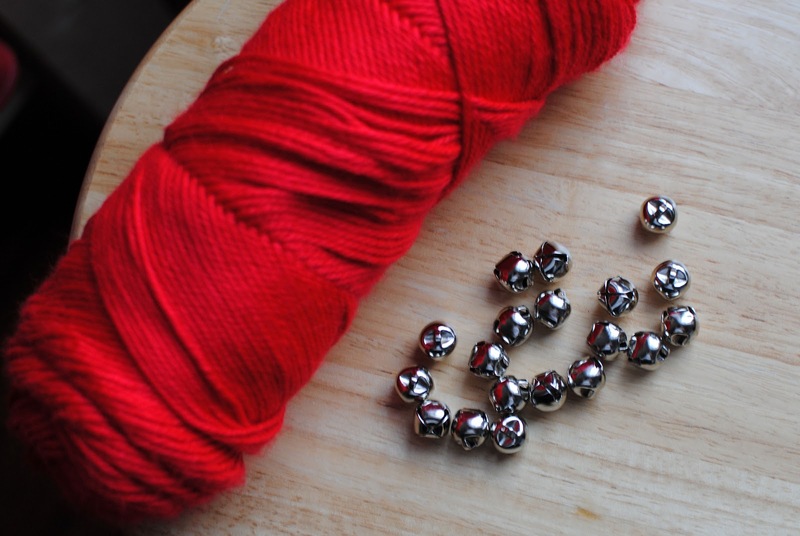 My supplies for this project were really simple: just some red yarn I had in my stash and a handful of jingle bells. As usual, I didn't use a pattern for this project, so bear with me as I try to describe what I did! 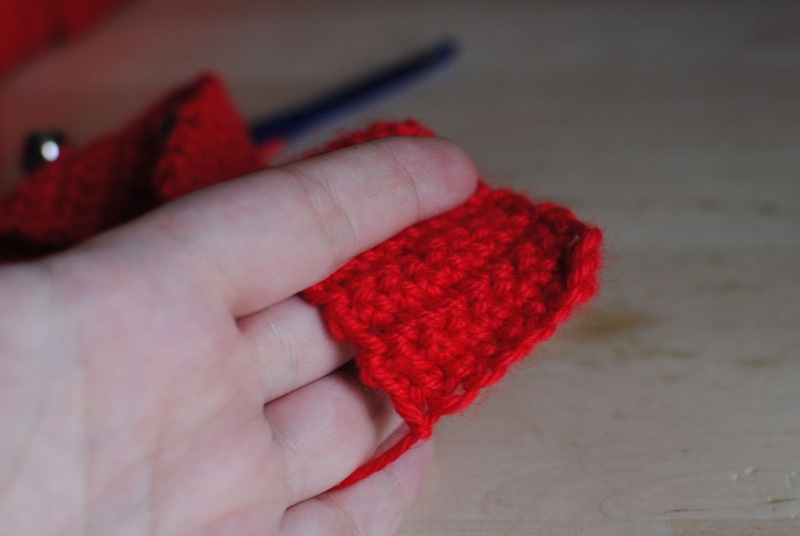 I started with a chain of 9, then I single crocheted 3 more rows of 8 stitches. Then it was time to add my bells! 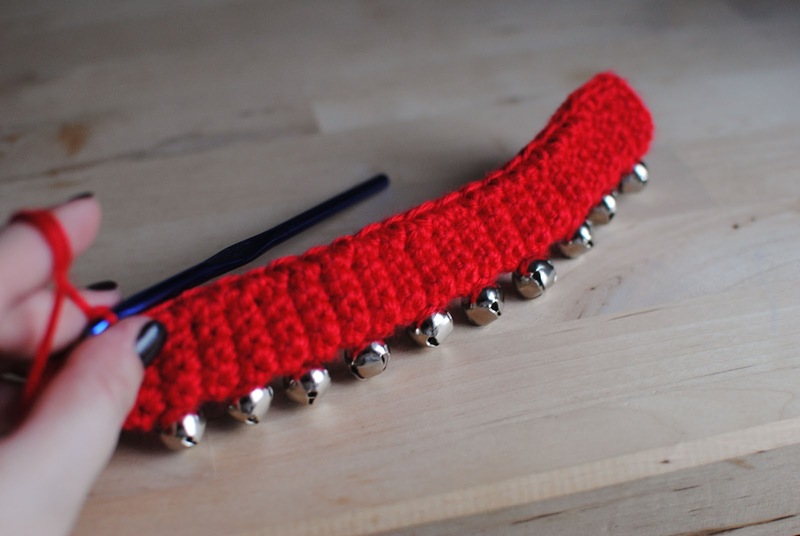 I wanted my bells to be in the middle of my circle so they'd jingle around the edge of my eventual project, so I decided to attach them on the fifth stitch of the row. 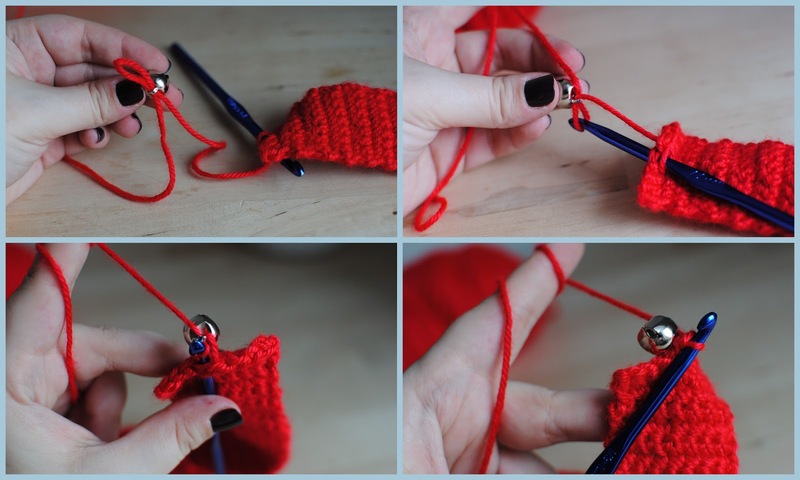 So I inserted my hook into the project, but before I grabbed the yarn to continue the stitch, I slipped a bell onto the loop of yarn. 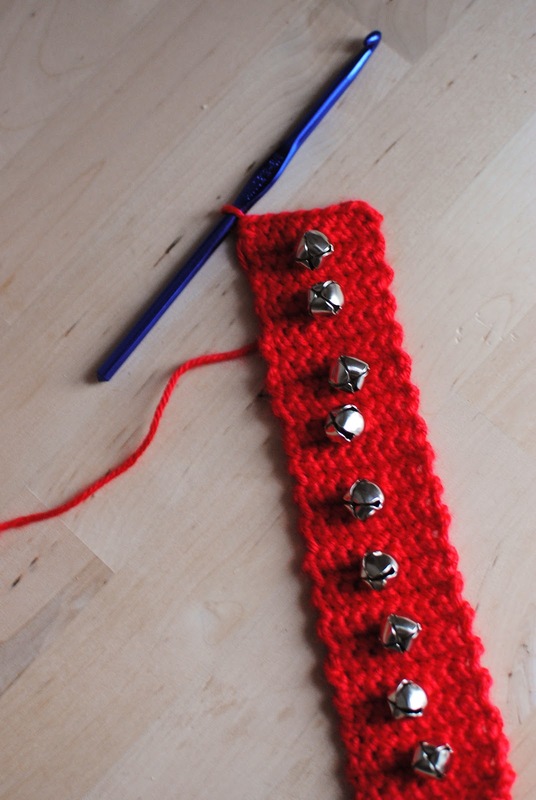 Then I pretend like the bell wasn't there and just continued the stitch and finished the row. 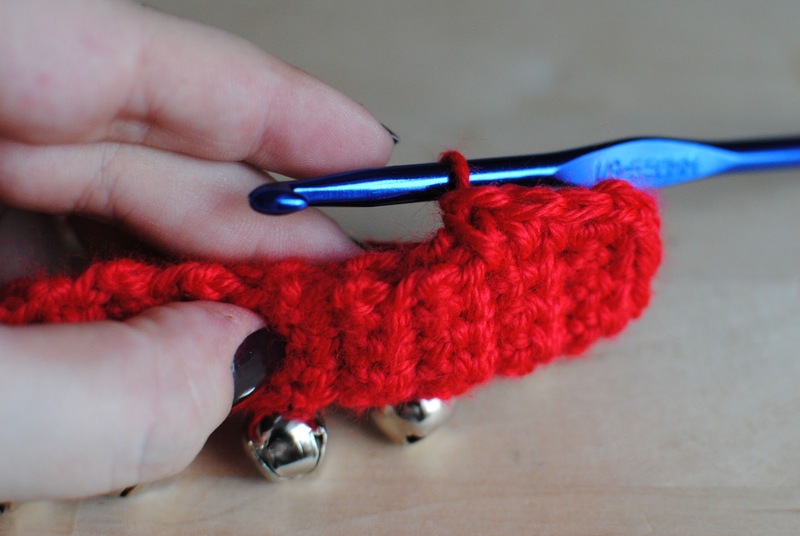 I did that same thing 9-10 times, until I had a little swath of crochet with a row of bells. Next, I folded the project in half (so the bells were on the outisde), and using a single crochet stitch I fastened the sides of my swath together. When that was finished, using a long piece of yarn I quickly sewed the two remaining ends together to create a circle. 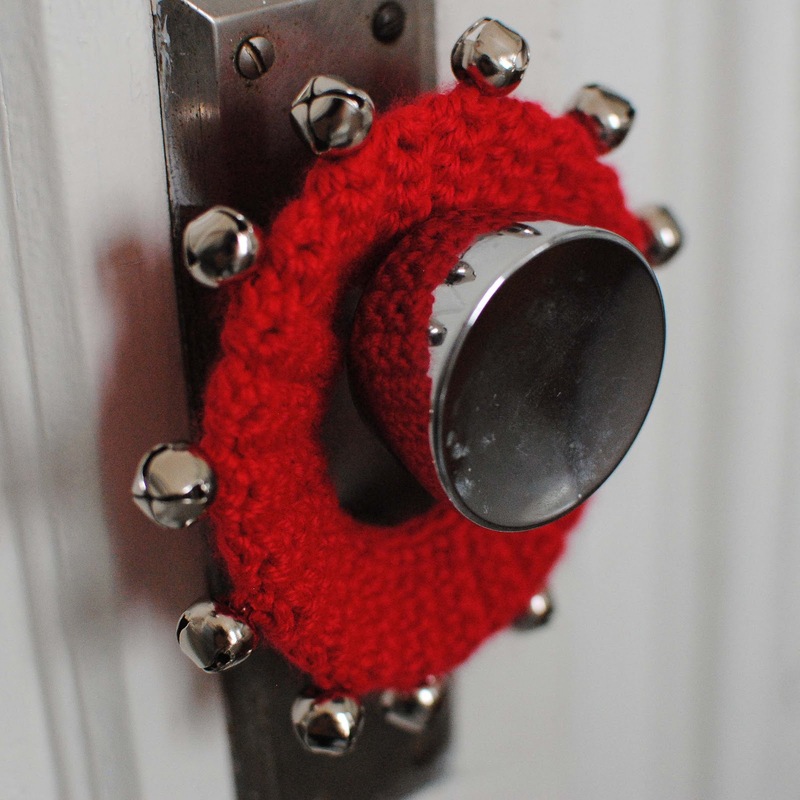 And that was all it took to make a Doorknob Jingle Bell. This took about 30-40 minutes to make, so I was able to knock out a couple while catching up on TV the other night! Life is a series of natural and spontaneous changes. Don't resist them, that only creates sorrow. Let reality be reality. Let things flow naturally forward in whatever way they like. See the link below for more info. I really liked your blog. It has a sense of humor and quite interesting. Good job guys. Looking forward for more updates.